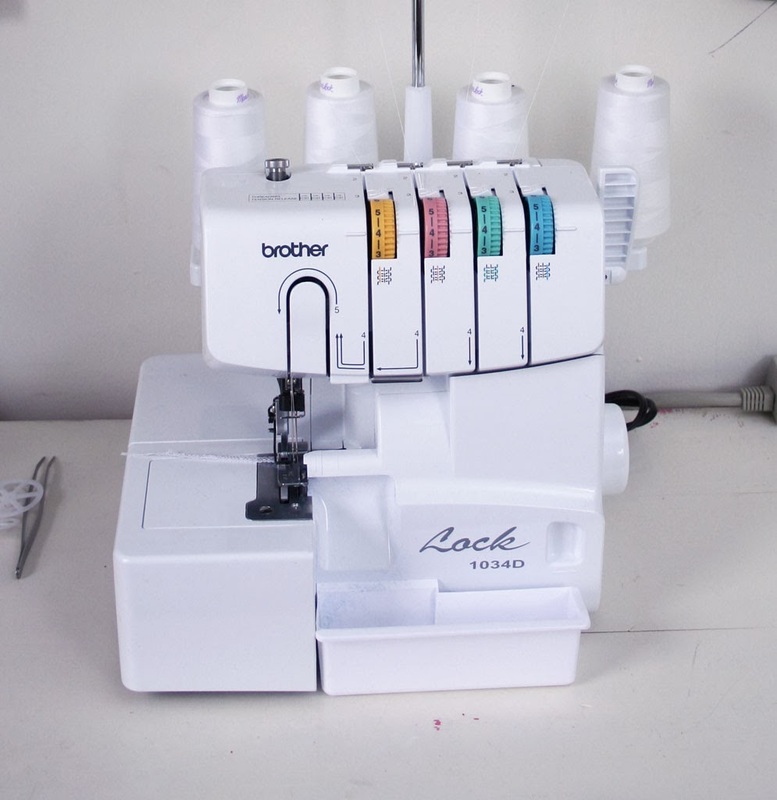 I got a couple gift cards for Christmas and used them to buy something I have been coveting ever since I saw how reasonably priced it was on Amazon - a serger! The Brother 1034d, to be exact (affiliate link). I have been wanting one so that I can make knit shirts that look professional enough to wear outside of the house. I have made my kids a number of pajamas out of knit fabric on my regular sewing machine, but I am not happy enough with the way they look to make t-shirts for daytime wear on it. 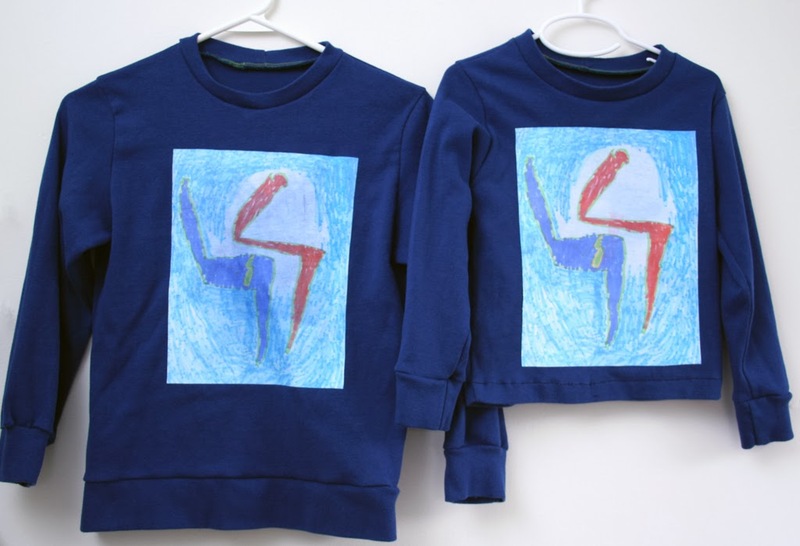 My first project was to make a couple of long-sleeve t-shirts adorned with a picture that the big kid had drawn. 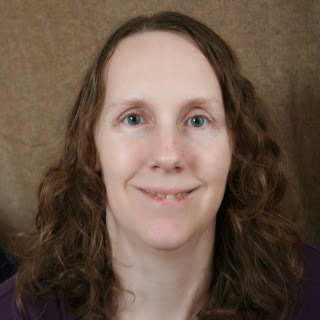 I scanned the picture in and printed it on some iron-on transfer paper intended for dark fabrics, like this (affiliate link). I trimmed the white edges off and ironed it on to the front pieces of the shirts before I sewed them together. For the big kid's shirt I used the varsity cowl neck pullover pattern (affiliate link) from Peek-a-Boo pattern shop - I just modified the neckline to make it a regular crew neck. For the little guy's shirt I used the cupcake top pattern from Sewing Mama RaeAnna - but without the pocket (or the ruffles, of course) and with a wider neck ribbing. 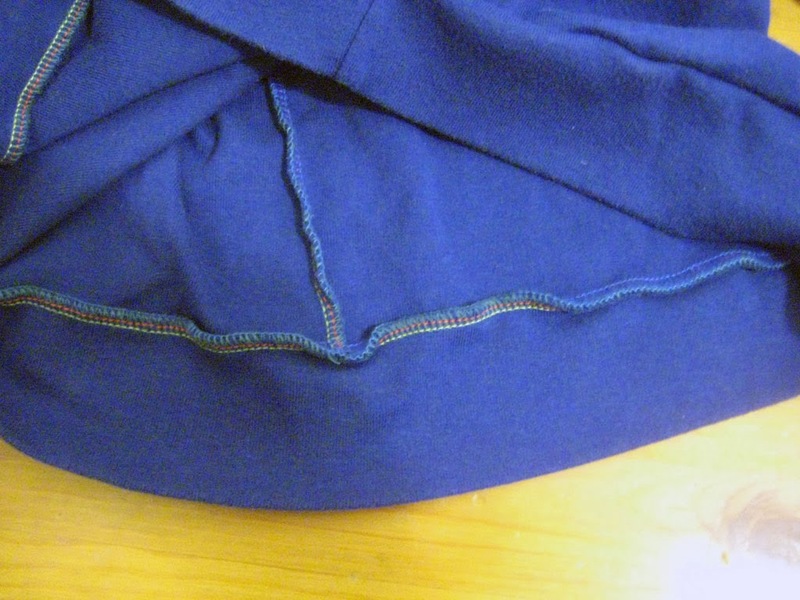 I love how the inside of the shirts looks when you sew them together with a serger! 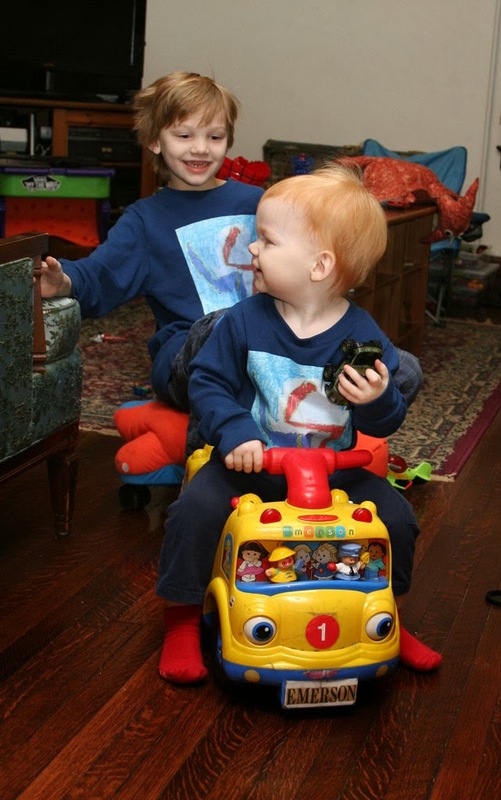 It was a little challenging to get a picture of the kids in their matching shirts - they were all about playing and not about posing. The big kid, at least, can be bribed with the promise of a couple dollars, but the little guy doesn't understand about money yet.